BOO! One of my favorite family events this time of year is pumpkin carving. We take it pretty seriously in the Malone household, and we were absolutely thrilled this year to be able to share it with our French exchange student. It was Charlotte’s first time to go pick a pumpkin,design a face, scoop out the insides and carve! She opted for what I described to her as “the classic” Jack-O-Lantern face. Our new friend did such a great job. I loved her attention to detail. 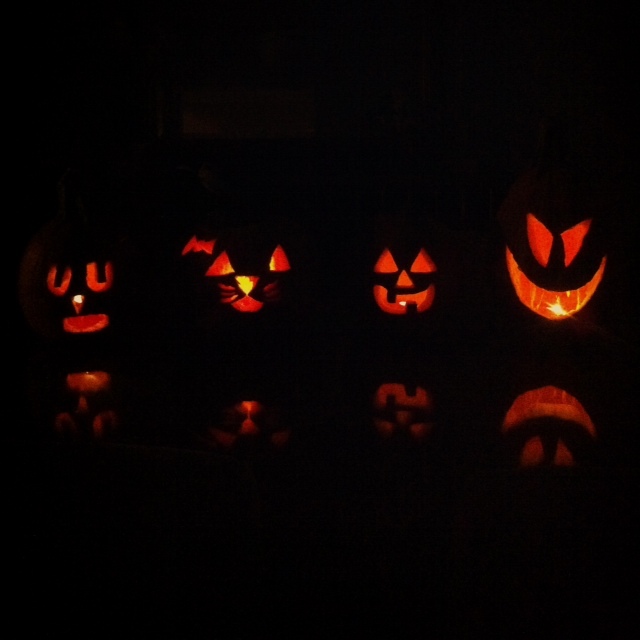 My husband gets the award for most frightful or “spooky”, on the far right. And I ALWAYS enjoy seeing what my two kids create!! Libby free handed her own “Hello Kitty” and I think Jack was maybe doing a some type of self portrait!? I snapped this photo with my iphone4 the night before Halloween. It was pouring rain out, so the pumpkins were actually sitting inside on a glass table, which gave a lovely reflection. I did the edit in pic-tap-go, where I applied a couple of different filters. I think the entire process took me just a couple of minutes. Having been a total idiot and taken down all my Halloween decorations before I’d looked at the weekly inspiration list, I had to improvise a little for this week of the blog. Walking around Target on a Sunday morning, I spotted these Halloween themed sodas in the clearance section of the store. 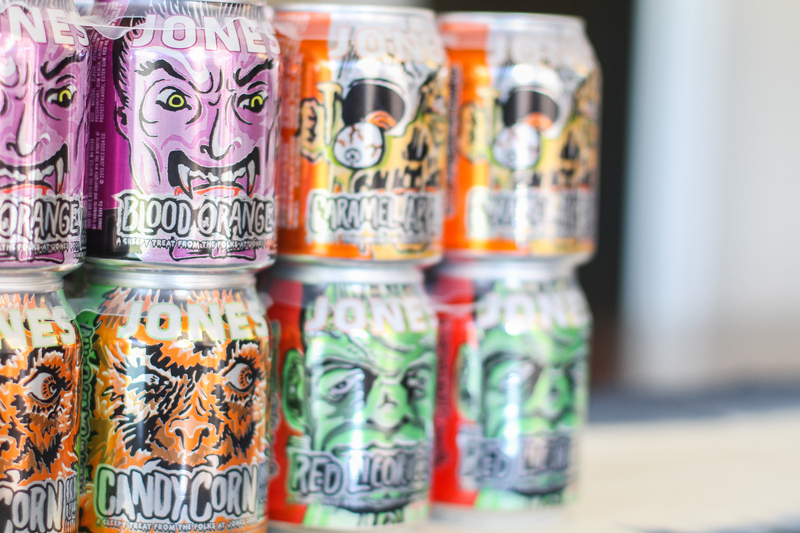 I love the spooky graphics on these drinks, which proclaim “A creepy treat from the folks at Jones Soda” on each can, flavored respectively blood orange, red licorice, caramel apple, and candy corn. I used my Canon DSLR paired with my 50mm 1.4 lens to take this photograph at noon on our kitchen table. My settings were ISO 400, f/2.2, and shutter speed 1/100. I did a very quick edit this time in Lightroom 4, cropping the image, and then increasing the clarity, exposure, vibrance, and saturation.